Preparing hamburgers will no longer be a work for humans when the flippy robot arrives in the Kitchen. Preparing hamburgers will no longer be a work for humans when this robot reaches the kitchen. Yes, the robots are already here and lurking with staying with our jobs. In recent months we have seen more and more companies acquire technology to replace humans in basic tasks, resulting in greater productivity, since the robot does not rest, and less margin of error. This has already been seen in production chains, restaurants, cafes, hotels, and even supermarkets where the minority are now humans. Robotics is evolving a lot in recent years. To this day, it is possible to see all kinds of robots performing a countless of tasks previously reserved only for humans. This has led to some debate about the role of robots in the labor market. There are many experts who warn of the possibility that these intelligent machines will take work out of human beings. One solution to this problem could be the one raised by Bill Gates, that the robots also have to pay taxes when they occupy jobs that before realized humans. We have already seen how many companies have replaced workers with robots. In fact, a few weeks ago the controversy broke out when it became known that the new Amazon Go supermarkets will only need 3 humans working at the same time to function, the rest of the employees will be robots. This situation can become a very serious problem in the future. The robot we have known today can also replace a person, but this time in the kitchen. The company Miso Robotics has created Flippy, the first robot “barbecue” in the world. Edward H. Rensi, the former CEO of McDonald’s, said last May that it would be more profitable for the company to research and incorporate technology rather than raise salaries for its employees. This approach has crystallized in recent times in the major chains of fast food in the US and have been incorporating new technologies in their restaurants little by little. Your bet has been especially focused when ordering because of its ease of implementation, but could go more. Wendy‘s has been one of the pioneering companies in betting heavily on automated systems for ordering its customers, which has allowed it to eliminate the bottlenecks in its restaurants, hire more cooks and process more orders. However, the machines are getting closer and closer to the cooks at fast food restaurants. This has provoked all kinds of reactions, from Bill Gates saying that the robots would have to pay taxes, to the European Union that seeks to classify them as “people”, and even Elon Musk mentioning that we should merge with them. But today the robots have put “a foot” in the kitchen, a place that has not belonged for years, and have done it to prepare one of the favorite foods in the world: hamburgers. This curious robot has been created to cook certain types of food and serve as support in the kitchen. Flippy is programmed to do certain tasks automatically. In addition, it incorporates a sophisticated system of Artificial Intelligence that allows you to recognize the task you are performing and react to certain situations. This robot is equipped with sensors, cameras and Deep Learning software that allow you to find any ingredient in the kitchen without having to reconfigure it when they are moved. 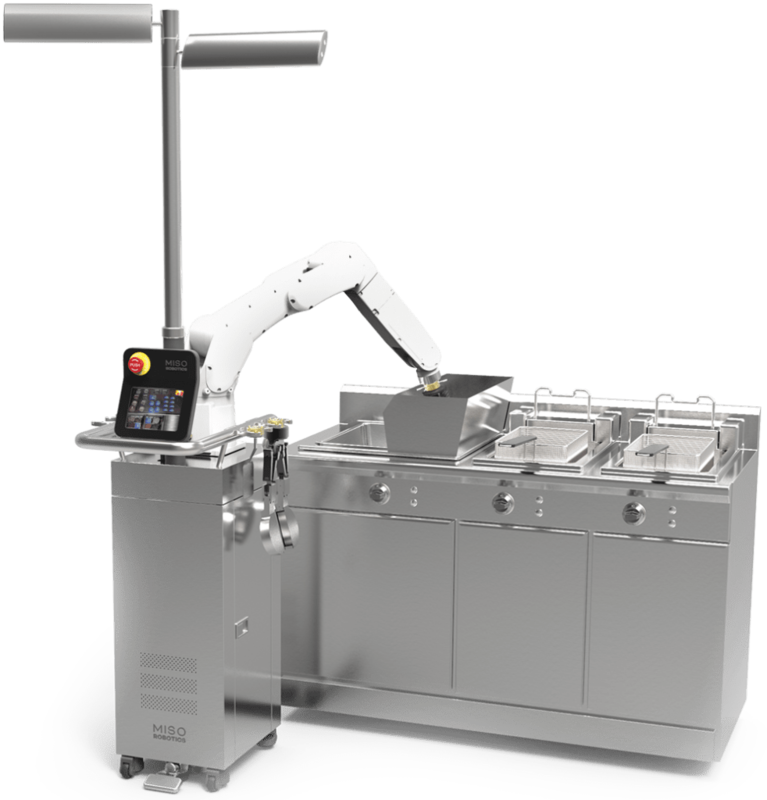 Flippy can be installed in less than five minutes and can handle an iron, a fryer, make sauces with which breaks the barrier that would require another type of robotics more complicated to deal with a new process of cooking. Precisely “developing a technology that assists in the kitchen and at prices that everyone can afford”, is the main approach of the company. 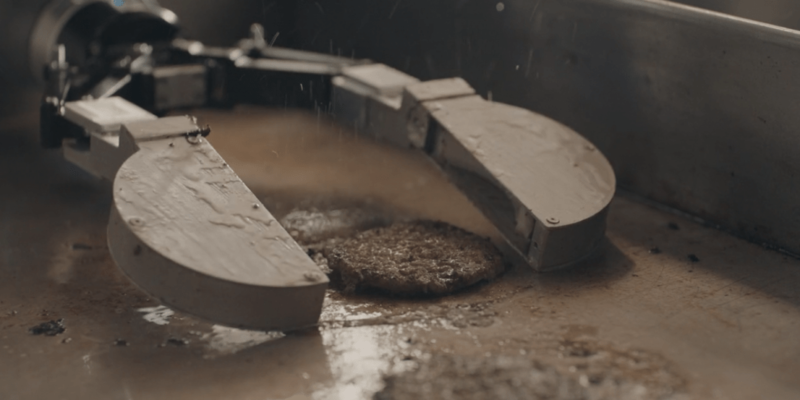 The company Miso Robotics is introducing Flippy, the world’s first ‘barbecue’ robot, which has been created to cook burgers and serve as a supporter in kitchens, especially in fast food restaurants. Flippy is not only a robot programmed to do certain tasks automatically, because thanks to an artificial intelligence system is able to “know” what it is doing and how to react to certain situations. Flippy had his first day of work today at the famous hamburger chain CaliBurger. 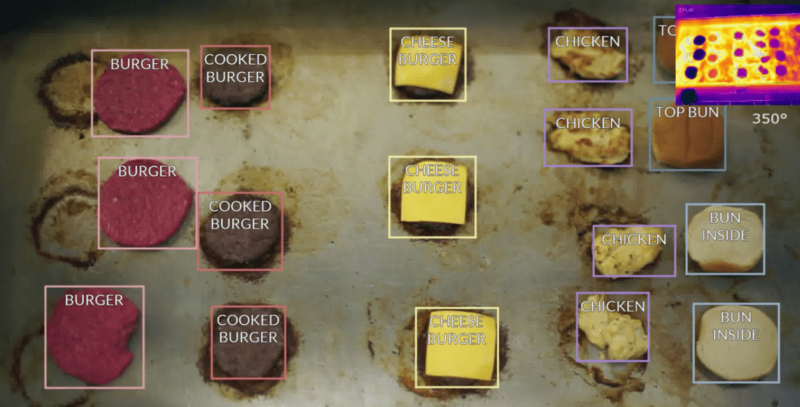 This robot is equipped with cameras, sensors and deep learning software, allowing you to locate the ingredients inside the kitchen without having to be reconfigured each day if they change position. There he is demonstrating his ability to detect when a hamburger has the right temperature and cooking time to place it on a bun and add ingredients such as cheese, bacon or lettuce. Among its tasks is to turn the meat on the grill, where it is able to “know” when it is ready to be placed on a bun, this thanks to its software allows you to determine the temperature of the meat and the time of cooking. In addition, you can also work with other ingredients and distinguish them, such as cheese, chicken, or vegetables, since your system allows you to learn on the fly and so you can go to new jobs. Flippy is not only bound to work on the grill, his robotic arm and capabilities will allow him to fry chicken, cut vegetables, or apply ingredients to a dish. Miso Robotics ensures that this robot is not designed to replace humans, but to work alongside them and serve as a support tool. Flippy is not the first robot to start working in a restaurant chain. In February of this year, Cafe X opened a robo-café in San Francisco where the “barista” is a robotic arm made by Mitsubishi. But this robot can not only dedicate itself to preparing hamburgers. Your system allows you to learn how to perform new tasks such as cutting vegetables, frying chicken or putting ingredients in a certain dish. According to the company that created it, this machine has not been designed to replace humans in the kitchen, but to serve as a support tool. When the Flippy test period ends in Pasadena more robots of this type will be installed in other 50 establishments of the hamburger franchise around the world during the next two years. According to the CEO of the company, this movement will not cause layoffs, as people in the kitchen will go to help in tasks inside the dining room, where the goal will be to get more involved with customers, and thus “have a more human courtesy”.